Tidy and modern 4 bedroom holiday home. Lounge opens up to a large sunny deck ideal for barbecues or just relaxing with a drink in the sun. Louvre shade can be altered to let in more or less sun and outdoor blind to keep the wind out. Great kitchen with breakfast bar including full oven and 2 fridges. Fully Fenced section to Keep kids in. 1 full bathroom plus an extra toilet and vanity off the main bedroom. Large laundry with a hot outdoor shower outside to wash off the sand before going inside the house. Philomel Rd is just a short 5 min walk to both the beach and the town. 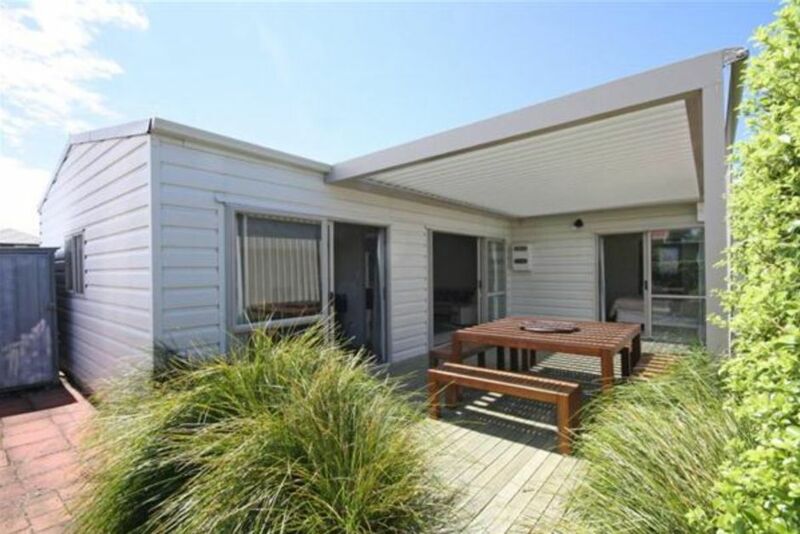 We enjoyed the property, deck and it's closeness to beach and shops. It had a nice open plan living with the 4 bedrooms coming off the lounge/ family area being useful. Being able to have a closed or open roof on the deck was nice. Location was good for the purpose of our stay and property was as described. Would book again if available when we required it. Great house close to everything. We had a great time staying at this house. It was a short walk to town and the beach and the house had everything you needed. Comfortable beds too. The owner was very helpful and accommodating. Lovely Bach with enough room for everyone. Close to shops and beach. Thoroughly enjoyed our stay! Tidy, comfortable, clean and great location! Such a lovely home with everything you need plus more! The outdoor shower is so handy and all the rooms are a great size, love the outside deck with table and chairs too :) would definitely recommend staying here.